The enterprise SMS effectively becomes the center of your security solution – so the choice, implementation, and on-going maintenance of this system is crucial. TSG was one of the first companies to implement these systems for customers and has stayed on the forefront of this technology through ongoing education, training, and day to day experience. You will find TSG implementations of enterprise security systems in universities and colleges, governmental agencies, counties and local municipalities, utilities, school districts, manufacturers, service providers, airports, property management, and other industries. The key to success of security management systems is Open Architecture. 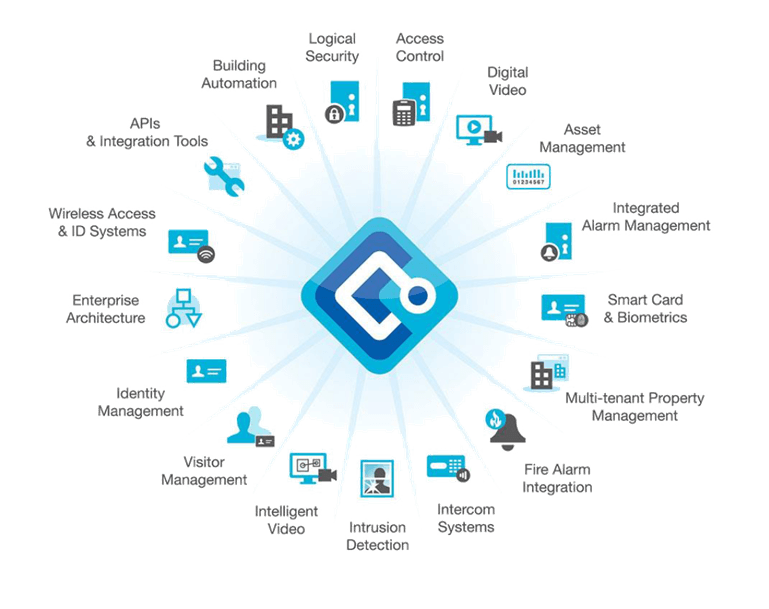 Open Architecture allows you to easily and cost effectively modify the system as your security needs change and grow. TSG is one of the few select integrators in Western New York to offer a true Cloud based security platform. Referred to as hosted systems the advantages of Cloud computing for security are significant. A hosted solution creates greater security, higher uptime, lower cost and faster, less disruptive service response. critical issues are addressed quickly. 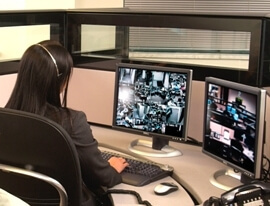 All aspects of your system are watched over and maintained by experts. 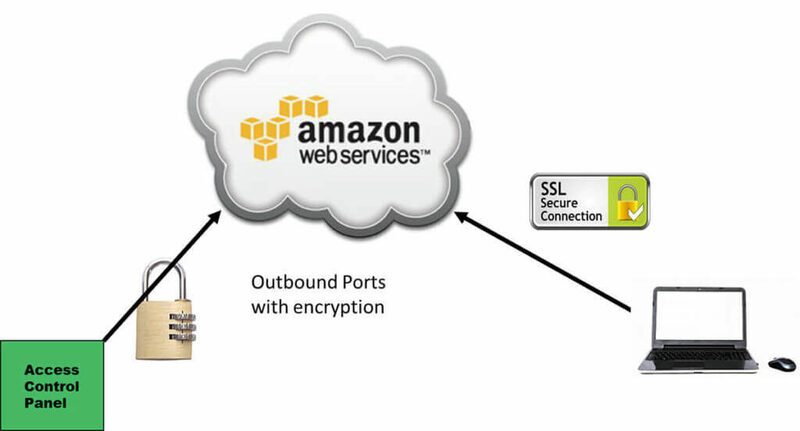 Hosted by Amazon Web Services (AWS) and only communicates outbound so no inbound communication is permitted. Most companies benefit from the layers of security and resiliency that AWS provides. Redundancy. Our application is hosted from multiple AWS locations with automatic failover between locations. Creating this type of redundant architecture for your business could cost hundreds of thousands of dollars. Through Hosting we can provide this solution for as little as $25.00/month*. With TSG’s hosted security platform there is no need to purchase a server or dedicate an appliance to the security application. Not having an onsite server means that we save the expense of the server, but also maintenance, patching, updating, back-ups, and replacement costs. 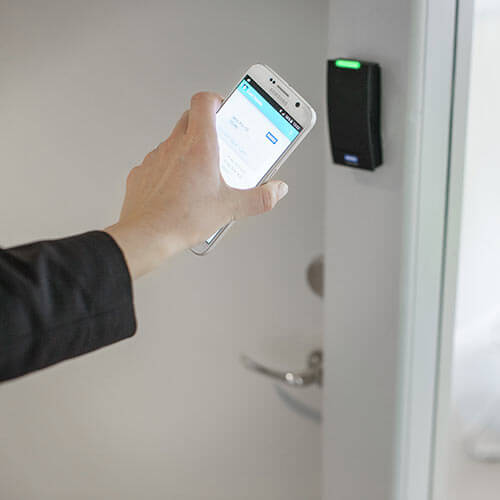 The cost for these necessary services combined with the cost for maintaining the access control application typically easily exceed the cost for having a hosted application. Contact us today and we will share our total cost of ownership calculator to show how Cloud computing can save you money on security. The highly accessible nature of Hosted security applications means our technicians can securely access the application remotely and often can resolve an issue without needing to respond a technician to the location. When it is necessary to send a service technician to the site we send him there only after conducting a comprehensive diagnosis meaning the tech is well prepared to resolve the service issue on the first call. Lower need to respond to your location means less disruption and lower cost.